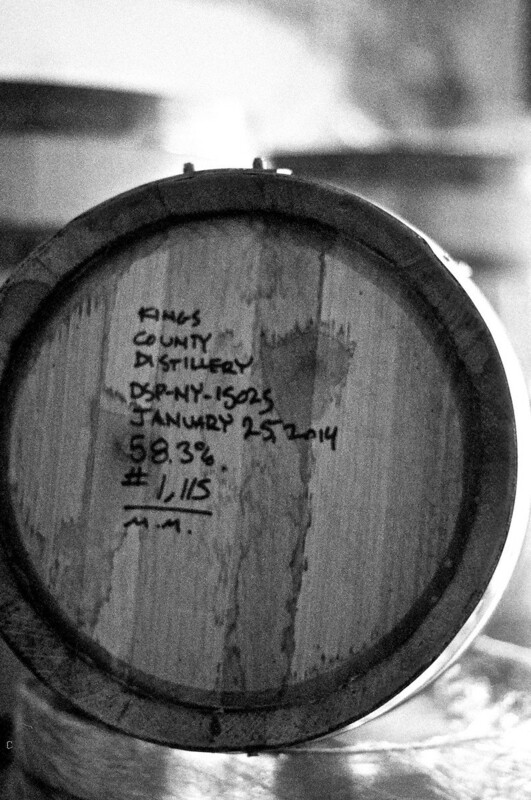 I visited the Kings County Distillery on January 25, so it was kind of neat to look right next to where I happened to be standing in the barrel room and see this barrel with what was then today’s date. This batch came out of the stills that same day. The barrels are generally kept in rows on the floor — I’ll show you how that looks soon enough — and I presume this one has since been moved to one of those rows. One of the defining characteristics of bourbon whiskey is that it is aged in never-used oak barrels.Scotch whisky (mind the “e” in American whiskey – Irish too – but not Scotch) is always aged in previously used barrels. 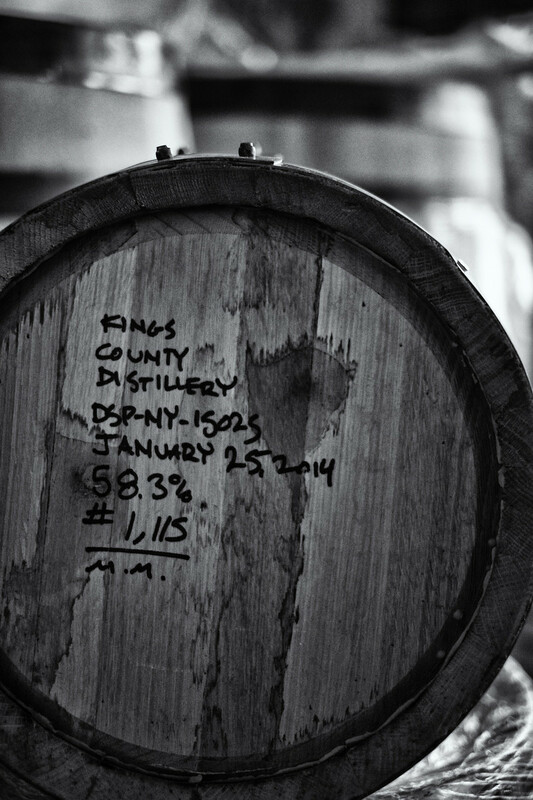 So American bourbon producers sell their used barrels which are broken down for easier shipping to Scotland, where they are re-assembled and used to age Scotch. The shot on top was taken with my Minolta SRT-202, 50mm f/1.7 lens, and Ilford Delta 400 film pushed 2-stops to 1600. The one below was taken with the Fuji X-E1 and the 35mm Fujinon lens. Despite being near identical compositions, in processing them I didn’t try to make them look alike. Instead I tried to make each look its best.